Bacon Crack. 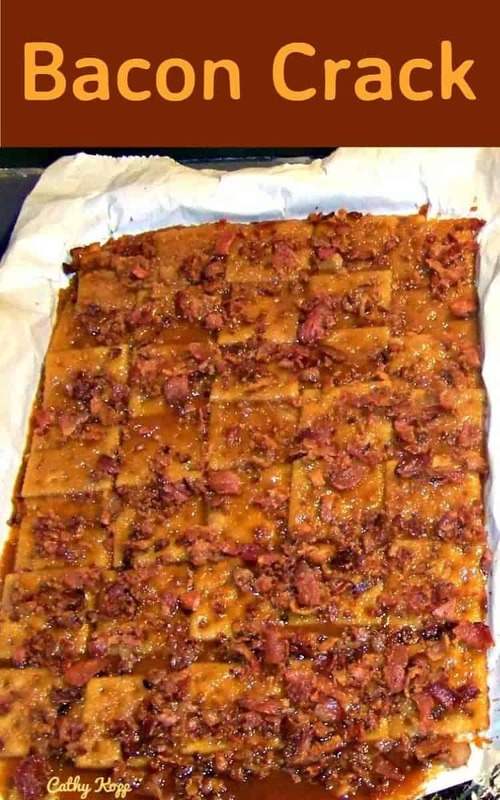 A.K.A Bacon Saltine Cracker Candy. If you’ve never tried this you’re missing out! Oh boy! The brown sugar against the saltiness of the bacon, and the combination with the caramel. Gosh! This is an easy recipe, and well… simply delicious! 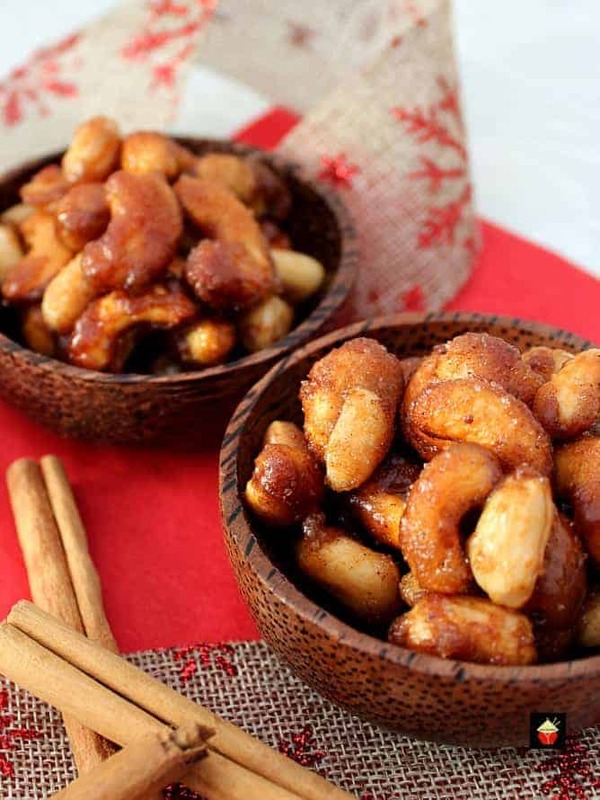 In fact, it is one of our most popular candy recipes on Lovefoodies and always extremely popular over Thanksgiving and Christmas time. Great for taking along to parties, celebrations and gatherings. This recipe has been generously shared by Cathy Kopp. Cathy’s also kindly added a few notes and tips along the way so everyone can make this! 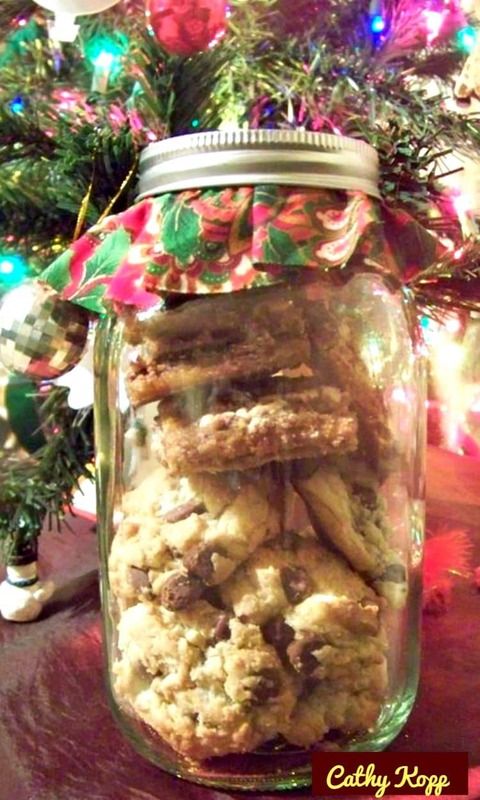 Cathy’s made up some gift jars with some of her Joy Cookies and Bacon Crack. I’d love one of these as a gift! 1. Preheat oven to 400 F. Line a greased or sprayed rimmed baking sheet (16″ x 11″) and cover with foil or parchment so it also comes up the sides. 2. Chop the bacon into bits and cook in a pan until crispy. Drain on some kitchen paper, pat down to remove as much grease as possible, then set aside. 4. In a saucepan, add the sugar and butter and heat until it has all melted and begins to boil. Be careful because this mixture is HOT. Give it a stir and when the syrup is boiling, continue to boil for 3 full minutes. 5. After 3 minutes, pour the mixture, CAREFULLY (It is hot remember!) over the crackers and place in the oven for 5 minutes. 6. Remove from the oven and sprinkle the bacon all over. Allow to completely cool then break in to pieces. 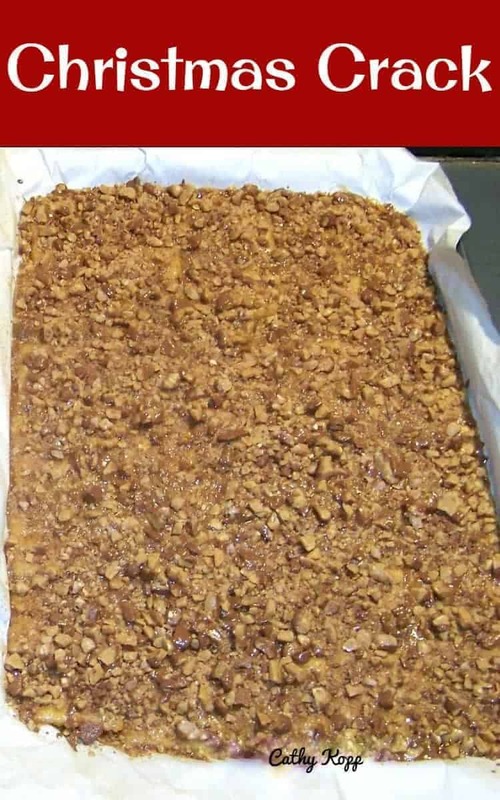 This photo shows a tray of bacon crack without the bacon! You can add some chopped nuts instead, or chocolate bits. Make it how you like! 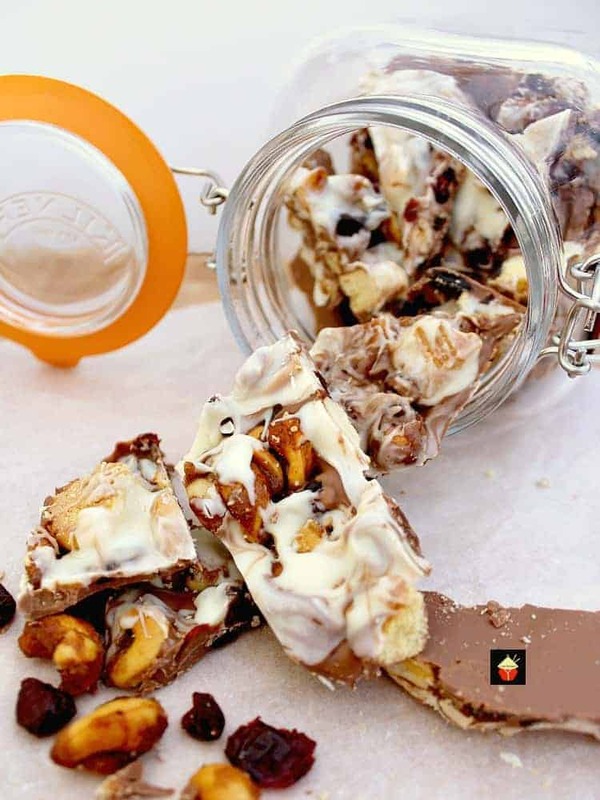 We’d love to hear from you and what you thought of our Bacon Crack recipe. Did you make any changes or add some other goodies? Let us know in the comments below. Thanks for reading and happy cooking! Below, Cathy has made up some lovely Christmas gifts with her Bacon Crack and also her Joy Cookies. Wonderful! 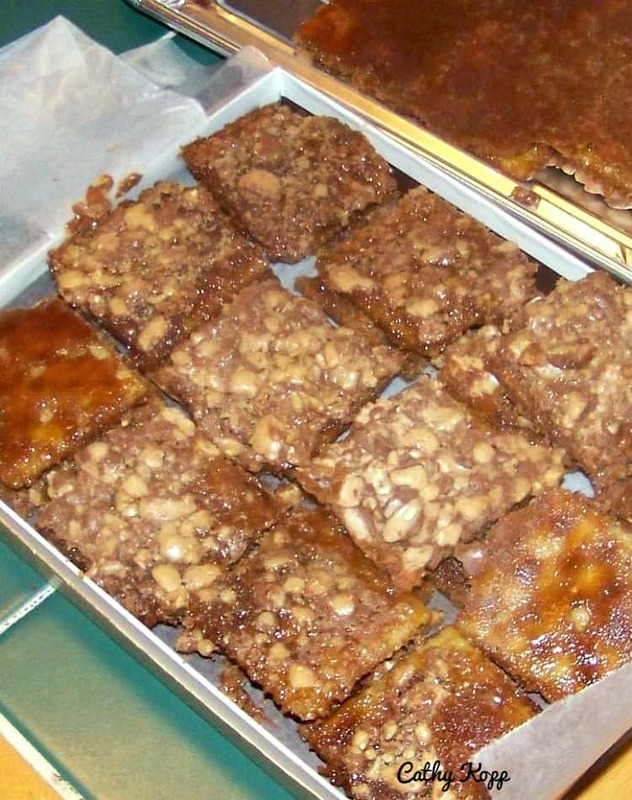 Cathy’s also got a lovely recipe for Christmas Crack. Click on the photo to go take a look. It’s so delicious! Preheat oven to 400 F. Line a greased or sprayed rimmed baking sheet (16" x 11") and cover with foil or parchment so it also comes up the sides. Chop the bacon into bits and cook in a pan until crispy. Drain on some kitchen paper and set aside. In a saucepan, add the sugar and butter and heat until it has all melted and begins to boil. Be careful because this mixture is HOT. Give it a stir and when the syrup is boiling, continue to boil for 3 full minutes. After 3 minutes, pour the mixture, CAREFULLY (It is hot remember!) over the crackers and place in the oven for 5 minutes. Remove from the oven and sprinkle the bacon all over. Allow to completely cool then break in to pieces. I us the non-stick foil and never have a problem. I was so excited to make this but was so disappointed when everything stuck to the paper I had to throw the whole thing away. Hi Jam, yes, that’s a good substitute! This is the most infuriating thing I have ever made! It stuck to the parchment paper and would not peel off for anything!! I made an entire tray and had to throw it out because the paper was all stuck to it! I’ve never used parchment paper and have had no problems using the foil. I would even buy the non-stick foil. Good luck! Fantastic…. I could not stop eating it. Love sweet bacon. Made it well before the party. Do I keep it in the fridge? Is it best to store in a ziplock or leave out? I’m afraid it it will get soggy if I seal it. I’m taking to a cookie exchange and want it to taste crisp! LOVE your recipe! What’s the shelf life with these? Thanks. Wondering about chocolate + bacon. Bacon should be sprinkled on before placing crackers in oven. The carmel mixture hardened so quickly when removed from oven that the bacon didn’t stick! Try oyster crackers and crumble the bacon, easier to eat and looks nicer in a jar. These recipes sound awesome will try them all, do you have a cook book a person could buy? Hi Arlene, thank you! I’m glad you’re enjoying the recipes. I don’t have a cookbook at the moment, but working on one for next year so stay tuned! Does the bacon crack require refrigeration? I would like to mail some in a cookie tin but don’t want to poison the recipients. Could someone please tell me if there is a certain TEMPERATURE the sauce should be when pouring ? I’m making this tomorrow morning for a cookout, and I hate for it to go wrong and have wasted the money, plus have nothing. Made this today and did not have success covering all the crackers. It did not pour. It came out in a set up form. Boiled as per directions. Was difficult to spread evenly over all the crackers. I only boil mine for 1 minute before I pour it into the crackers. Carmel sets up after the Crackers cook in oven for 5 minutes. 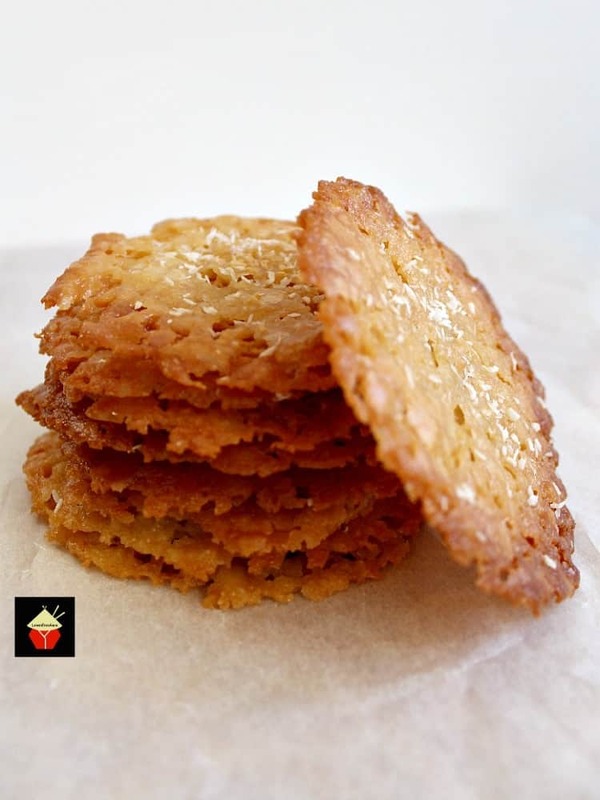 Just as long as the Crackers float (bubbles) the Carmel will set. Amen. Good answer. God bless and keep up the good work. Everything’s better with bacon. And this atheist is happy to call it Christmas Crack. The name is funny, festive, and descriptive. Relax, and eat more bacon. I love Hawaiian crack seed! I can not imagine calling it anything else. I made this and it was a sticky drippy mess. I tried it again and cooked the caramel a little longer but it set up either. Is it supposed to be like this? What did I do wrong? I’d really like to get it right before I try the bacon version. Hi Susie, I’m so sorry to hear it didn’t turn out how it should. The only thing I can think of is that the caramel must be at a rolling boil and once it starts to boil, keep it boiling for a full 3 minutes. If you don;t get it hot enough, and for long enough, the caramel doesn’t set and then you end up with what you’re describing. I hope that helps and wishing you more success for the next time! Thanks for writing in and please do let us know how your next one turns out. Hopefully it will be perfect! The Bacon crack we would suggest refrigerating, and both should store for around a week. I think if you are able, to leave making it until a little closer to Christmas so it is nice and fresh. If you make it an put them in jars for Christmas how long will it last? Hi Marie, We suggest if you do make the Bacon Crack ahead, it should be refrigerated, then pop them in jars when you’re ready to give as gifts. The Christmas Crack recipe will store absolutely fine in jars without refrigeration for a week. Hope that helps! Seriously. Maybe remove the word “Christmas” too to avoid offending non Christians? PLEASE. I love your answer Jackie!! We should stand over our beliefs and if people get offended then leave!!! In the original post, it is called Bacon Crack. Not sure why everyone gets all huffy. It’s a recipe forum, not a church, temple or mosque. America is founded on freedom. I can call it Christmas Crack, Hanukah Crack, Quanza Crack, Ramadan Crack. Or just plain bacon crack! Oh the beauty of living in America!! If you’re not for them- you’re against them…..SMH!! Rather silly, of all things, the name of the dessert offends! Rename it to your own recipe book if it offends you but don’t expect everyone else to agree with you. It’s as simple as agreeing to disagree!! “Nondenominational celebratory tailgate or weekday unhealthy snack for humans who are allowed or want to eat pork” seems like a great, albeit wordy alternative. Seriously????????? It’s Christmastime. Christians celebrate Christmas. If that offends you, get off the blog. AMEN!!! If they “clicked” on the recipe called “Christmas crack,” then they shouldn’t be offended by the name! Amen! How can people be offended by Christians celebrating Christmas!! I am sick of trying to avoid stepping on toes. If you don’t like what is being said or discussed, MOVE ALONG! You are on someone else’s site/blog asking them to change it? I’m just curious….since you don’t believe in Christmas….is it ok as a compromise, that they ask YOU to put a Christmas tree up in your home? I mean it’s only fair. Your asking someone to do something very personal. No one is asking you to change anything about yourself. Maybe if you look at it that way, which I doubt, but just maybe you will see how ridiculous it is to ask someone to change something of theirs. As a non-christian, the name doesn’t offend me in the least bit. We pagans are a bit thicker skinned than our Christian friends.. The word “Christmas” used to have a more religious meaning but over the years it has become the most materialistic holiday in the world. Celebrate/pray to your God as you choose, that is your right. In turn please respect my right to worship or not, as I choose. Thank you. Apparently not! It was obviously a non-Christian that asked for the removal of Christmas from the recipe. Seriously. Change the name so as not to offend a non-Christian? Go whine someplace else. Don’t like the name, don’t make it. Call it something else if it comes from your kitchen. No one will care. Mercy – can’t you find something meaningful to squall about? Seriously, I’m not sure why the Christian faith always has to defend itself. If you wanted to call this Jewish crack, Budha crack or Muslim crack ect., I truly would not be offended. I would look at the recipe and if it sounded good I would go with it. My personal desire is for people to stop using “crack” in the titles of recipes. My niece was addicted to it and it nearly ruined her life. Perhaps we could change the fashion to “heroin” or “marijuana” rather than crack. I know, that’s very sarcastic but I’m just trying to make a point. I’m not upset with you. I just want to spread my feelings when and where I can. You only get to choose the words YOU use, not others. I wonder how these wld be if you used bacon flavored ritz crackers instead of saltines, I got a free box and was trying to figure out how to use them. Thoughts? 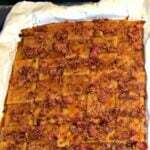 Hi Lisa, we have had some feedbacon on our Christmas Crack Recipe, where Rachel has used Ritz Crackers and she said it came out lovely! So you are good to go! 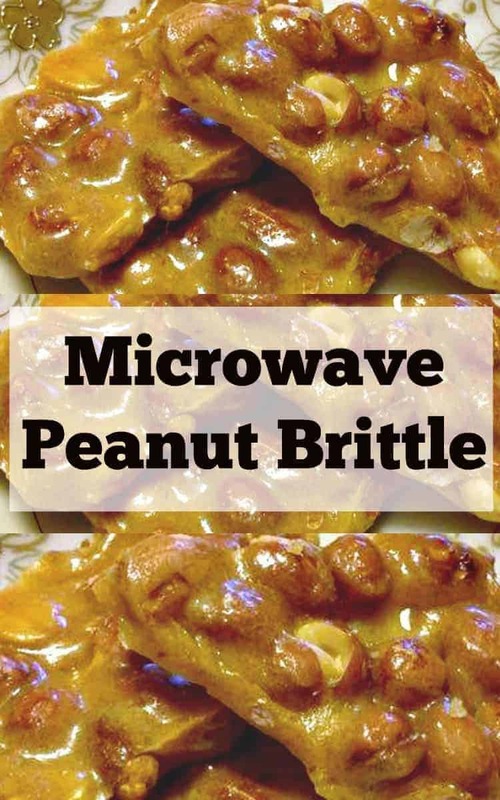 I make this same receipe for years, but it is called “Soda Brittle”. I use chocolate chips and chopped nuts as a topping. I like the idea of the Heath chips as wel. I will try the bacon also. Thanx. Hi Cheryl, I love the sound of adding the nuts. (I’m a huge nut fan!). Glad you like the recipe and thanks so much for sharing your ideas too! Is it 1 llb of bacon? or 1/? There is a slash, so wanted to check if was not the entire pound…Thank you! Hi Amy, it is 1 pound of bacon. It was a typo on my part, so sorry for the confusion. I’ve amended the recipe so it reads correct! Thanks so much for pointing it out. Much appreciated! That is a lot of butter…will it harden up while cooling? Hi Natalie, the butter is used to make the caramel in the saucepan, so yes, it will firm up, but not as butter, but as caramel. (It is the brown color you see in the photo). the main thing you must do to avoid it being greasy is to drain the bacon and pat dry with some kitchen paper, then it will be perfect, but don;t worry about the butter, it is one of the main ingredients when you make caramel. Hope this helps! Hi Janet, It needs to be able to cool so it can set. If you live in a cool country then you can leave it out on the table to set, (although it will take longer than in the fridge). My husband calls it plumber’s crack. Lol Just sayin. Get over all this nonsense.